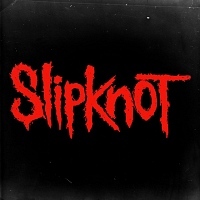 Formed in 1995, Slipknot are an American Grammy award-winning Nu-metal band, featuring Corey Taylor - lead vocals, Sid Wilson - turntables, Chris Fehn - percussion/ backing vocals, James Root - guitars, Craig "133" Jones - samples, Shawn "Clown" Crahan - percussion/ backing vocals, Mick Thomson - guitars, Alessandro Venturella - bass and Jay Weinberg - drums. Founder member and original bass player Paul Gray died in 2010. The band released their debut eponymous album in 1999, followed by "Iowa" (2001), "Vol. 3: (The Subliminal Verses)" (2004), "All Hope Is Gone" (2008) and 2014's ".5: The Gray Chapter" (2014).